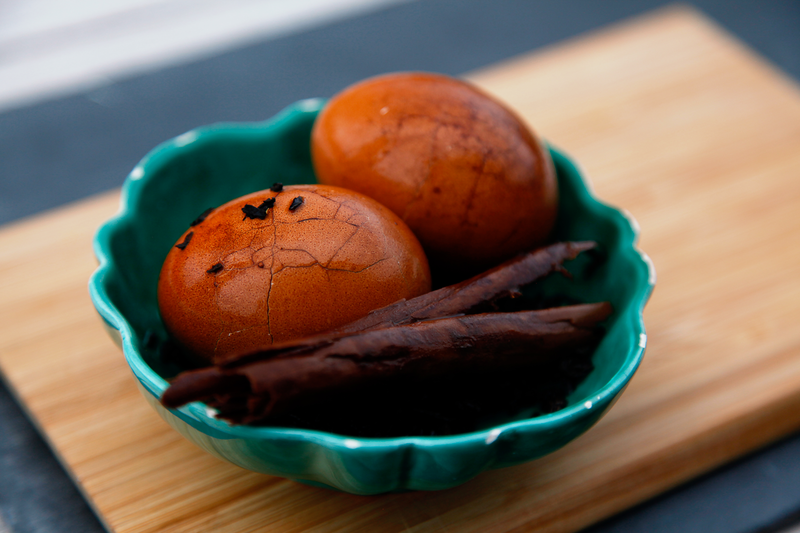 If you’ve never cooked with tea, here’s a simple recipe to get you started: marbled eggs. It’s Easter, but we’re not talking chocolate. Instead, we’re using real eggs, so we’re sticking to the theme all the same. And of course, you can still use them for an Easter egg hunt for added fun! Hard-boil your eggs, then place them in cold water. 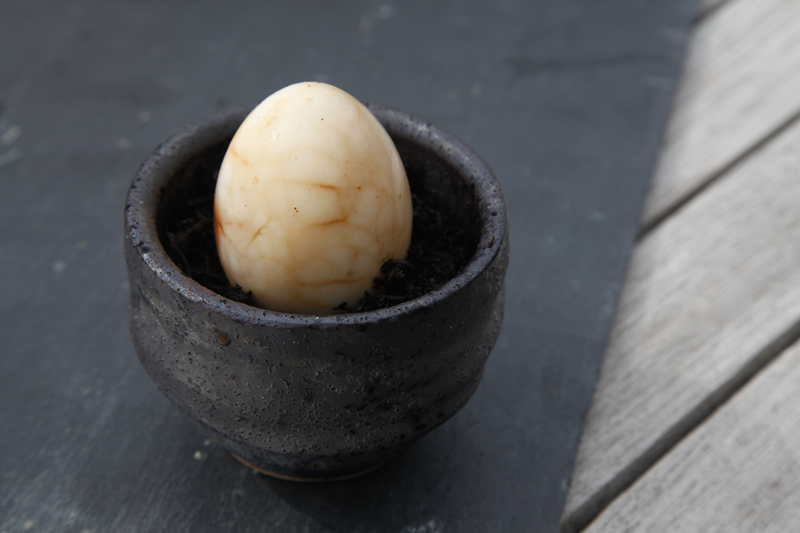 Gently crack the shell by tapping the egg lightly on all sides. 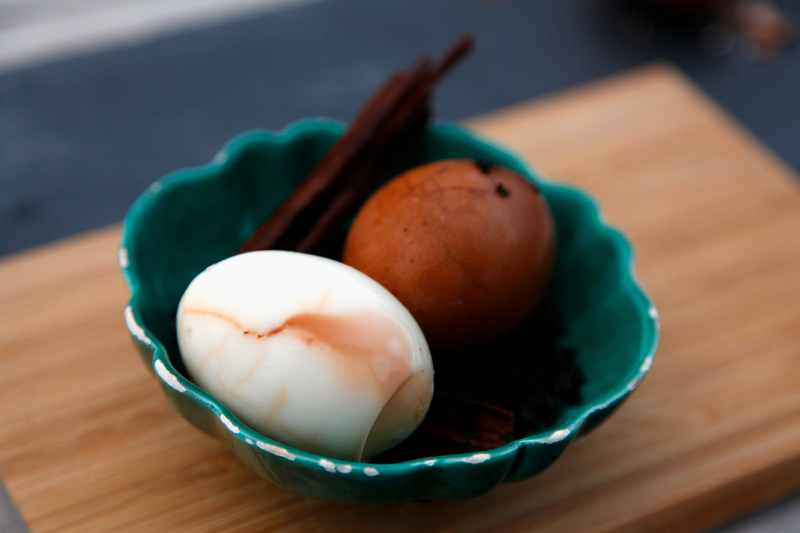 Next, place the eggs into simmering water for 20 minutes along with 15g of Pu Erh Impérial (per 300 ml water), a stick of cinnamon, a tablespoon of soya sauce, two star anise and a pinch of salt. Then leave to cool. They can be kept, unpeeled, in the fridge for up to 48 hours. There are endless ways to use tea in cooking. For example, why not sprinkle it over food like a spice? 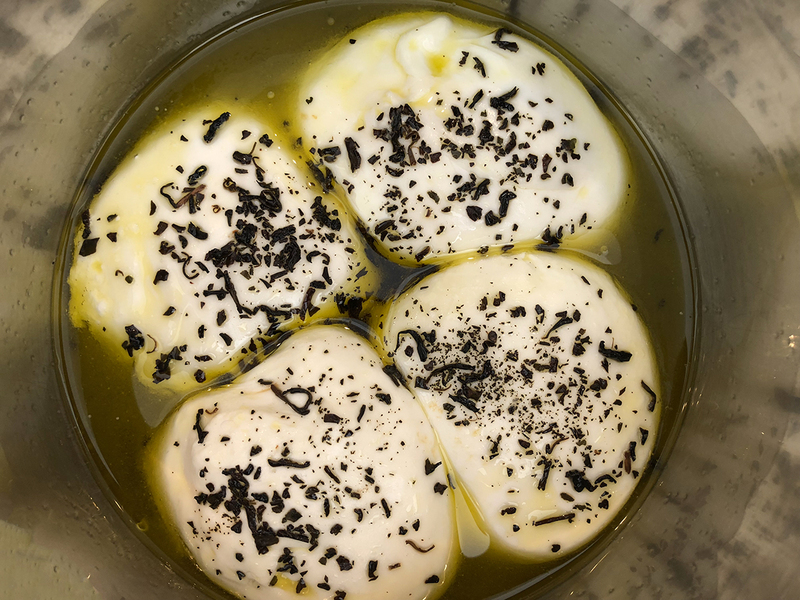 Here, the aromatic, toasted, delicately woody and fruity notes of Jejudo Grand Oolong Impérial bring an exotic touch and a hint of crunch to this delicious burrata cheese. Sprinkle the tea over it and leave it in some green olive oil in the fridge for a couple of days. Enjoy it the Italian way: not too cold, as you sometimes see it served, but at a temperature of 20° to 22°C. To accompany it, infuse the same Korean tea in water at room temperature for 30 minutes and serve in small glasses such as vodka glasses. Tea in your cocktails – a novel and delicious idea! You can use tea in many ways. In cooking, if there is water, milk or single cream in a recipe, for example, you simply infuse the tea in the liquid and filter it. I’ll come back to that subject soon. You can also make cocktails with tea. If you’d like to try it, you can infuse tea directly in alcohol, though you may have to use more tea and steep it for longer. You can also prepare a strong tea in the usual way, and use it as an ingredient. Herbal infusions are also very good in cocktails. 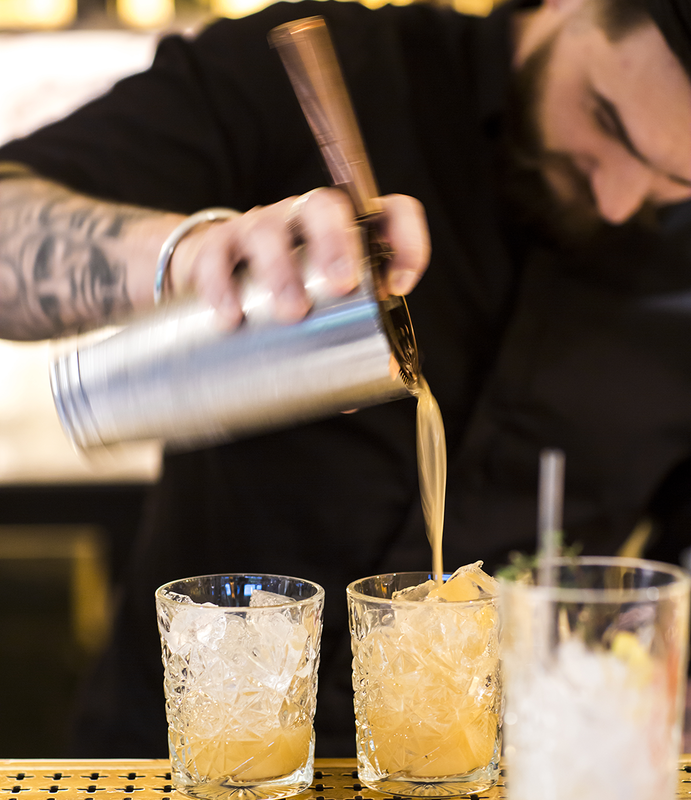 Philippe Carraz, head barman at the Alcazar, is pictured here mixing a delicious non-alcoholic cocktail made from agave syrup, fresh ginger, our Romantic Garden and a few sprigs of thyme. Let me know what you think. It’s summer time! I’d like to welcome you into the new season with a delicious iced tea. 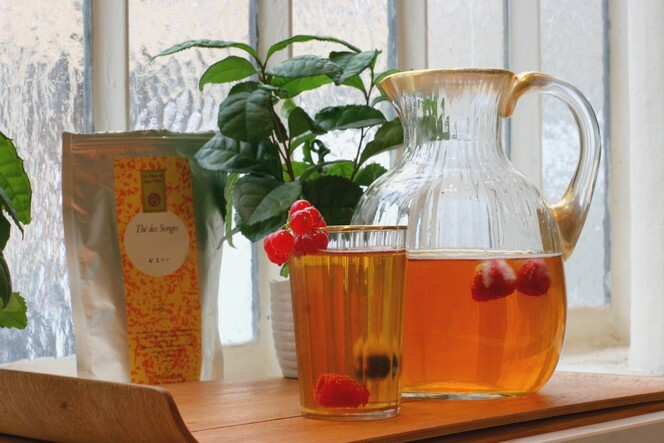 Steep your tea in water at room temperature and then chill in the fridge. Before serving, add a spoonful of honey, a slice of orange and perhaps a few mint leaves, and you will have a drink that is both delicious and refreshing. 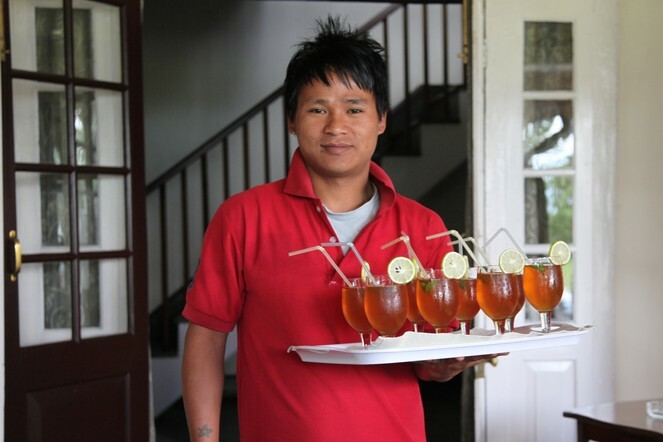 There is nothing better than an iced tea to serve friends, young and old, like here on the veranda at Tomsong in Darjeeling. Vive le thé! Cheers! When I’m in Darjeeling, momos are one of my favourite recipes. For those who aren’t familiar with Himalayan typical food, it’s a steamed pastry filled with vegetables (“veg momos”) or minced chicken (“chicken momos”). 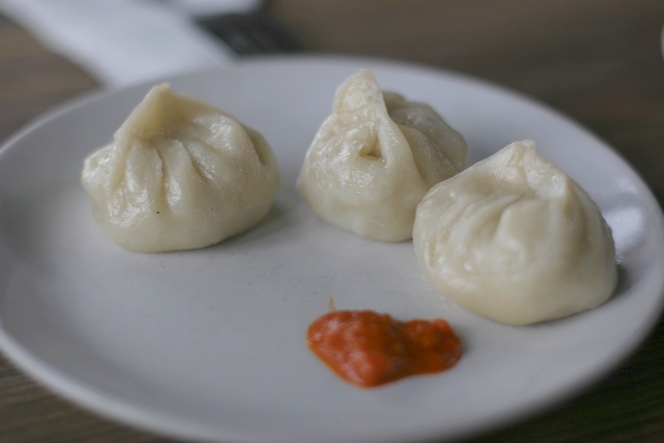 As you can see, momos actually look quite similar to the Chinese Dim Sum. It goes without saying that you’re free adapting these recipes according to your tastes, replacing one meat by another, choosing different vegetables, overdo it with ginger. And adding chili to the tomato sauce to rouse the momo and make you, just by itself, imagine you here in Darjeeling! Which tea to drink with it, you’ll ask me. I suggest a salted butter tea, ideally yacht butter, that you’ll have previously let go rancid just like Tibetans do.